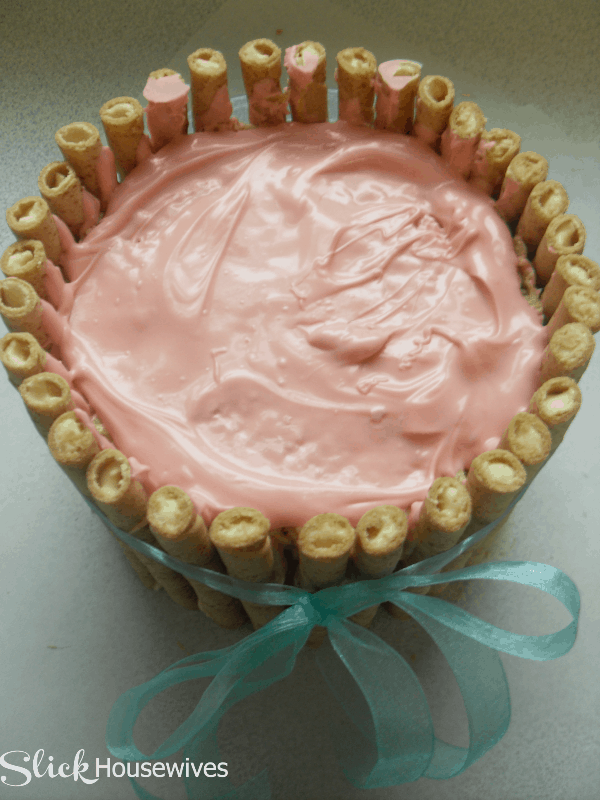 This Easter Basket Cake Recipe is so easy and virtually impossible to mess up. I was looking around Pinterest for Easter Cake Ideas and came across a beautiful Easter Basket Cake. The only problem was that it didn’t really have a tutorial to go with it. I’m a very visual person and need step-by-step instructions on how to do things! Especially since this Easter Basket Cake looks intimidating to make. This Easter Basket Cake Recipe is so easy and virtually impossible to mess up. 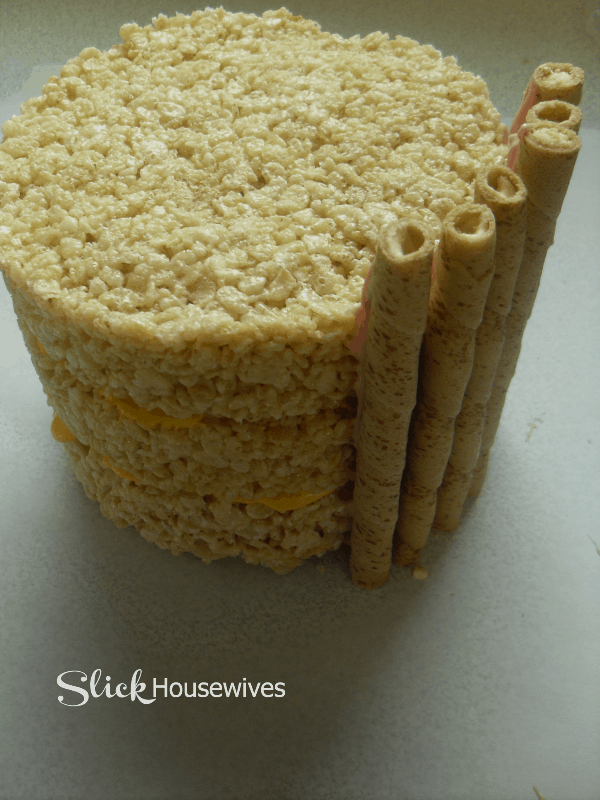 PLUS, if you want to change it up a bit, you could use a real cake in the center. What a beautiful centerpiece it would make! The kids were asking if everything was edible! Yes, everything but the ribbon! If you are looking for more great Easter Cake Ideas, make sure to check out our Easter Bunny Cake Recipe and Tutorial! 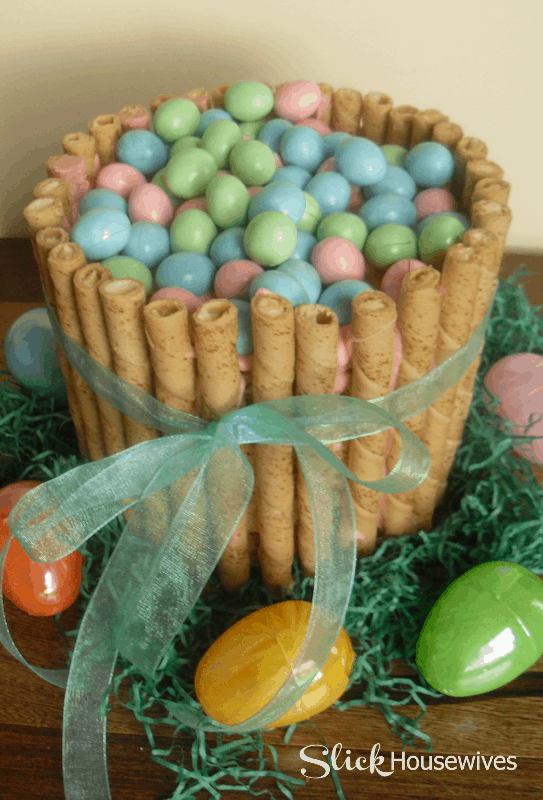 Let me know whether or not you like this Easy Easter Basket Cake Recipe! Add marshmallows to melted butter and stir until the marshmallows have melted completely. 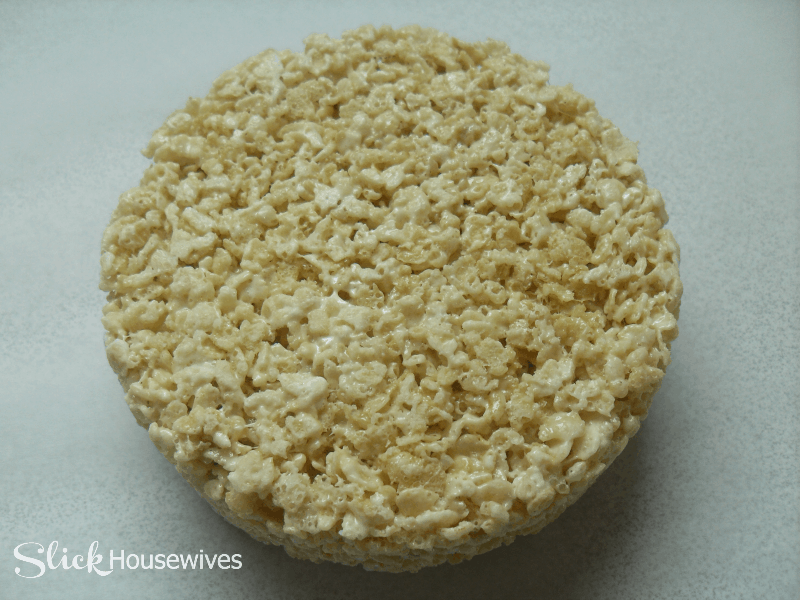 Remove from heat and stir cereal in until completely coated with the marshmallow mixture. Press mixture into well greased 6” round pans (1 ½ batches will do 3 pans). Keep reading and you will see how easy it is to assemble the Easter Basket Cake! 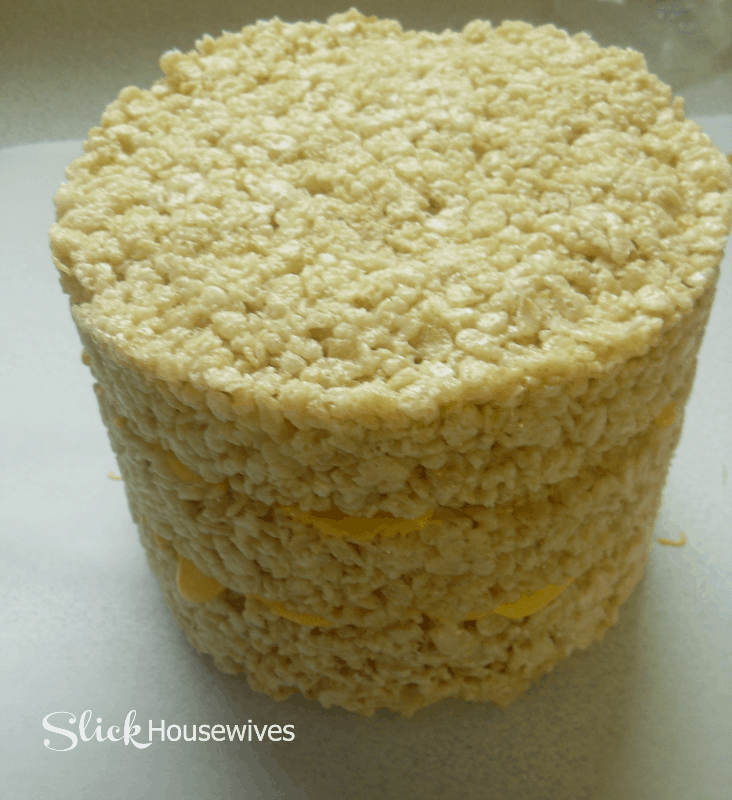 After the Rice Krispies have cooled and become firm, remove them from the round pans. Melt candy melt according to package instructions and coat the first round with melted candy and stack the second round on top. 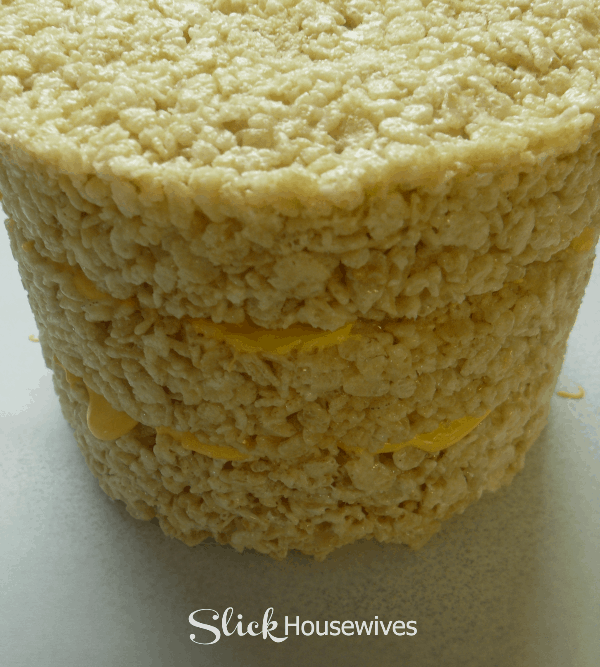 Begin attaching the Pirouette cookies to the Rice Krispies cake by spreading candy melt onto the backs of the cookie and pressing against the cake. Continue until the entire outside of the cake is covered. Tie a beautiful ribbon around the outside of the cookies. Carefully cover the top of the cake with melted candy melt and pour the candy coated eggs onto the top. Allow candy melt to harden and serve for your Easter party and or use for a beautiful Easter Centerpiece! You can find cheap Easter Eggs online to decorate the Easter Basket Cake. Tie a beautiful ribbon around the outside of the cookies. 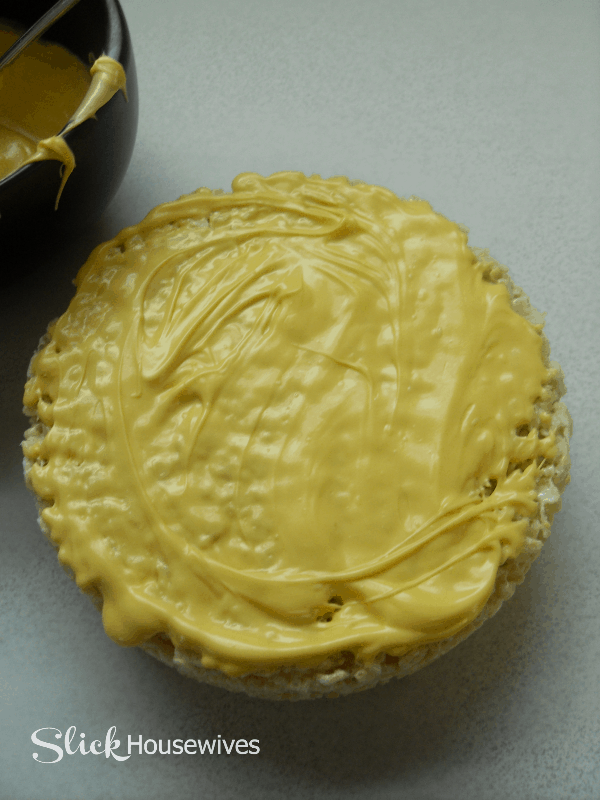 Carefully cover the top of the cake with melted candy melt and pour the candy coated eggs onto the top. 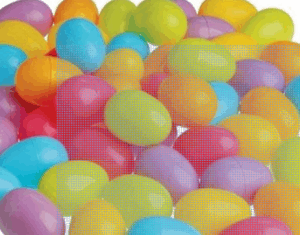 Allow candy melt to harden and serve for your Easter party! Press mixture into well greased 6â? round pans (1 1/2 batches will do 3 pans). Hope you enjoyed our Easy Easter Basket Cake Recipe! Make sure to check out our Easter Bunny Cake Recipe!